This year, I had the pleasure of giving back to the WordPress community by helping organize WordCamp Omaha 2018. Not only did I lend a hand with the website, I also planned and managed volunteer activities. I learned a lot about putting an event like this together and had a great time doing it with awesome people. I won’t lie; there were times that I considered backing out of it and giving up but in the end, I’m glad I stuck with as the whole event turned out really well. 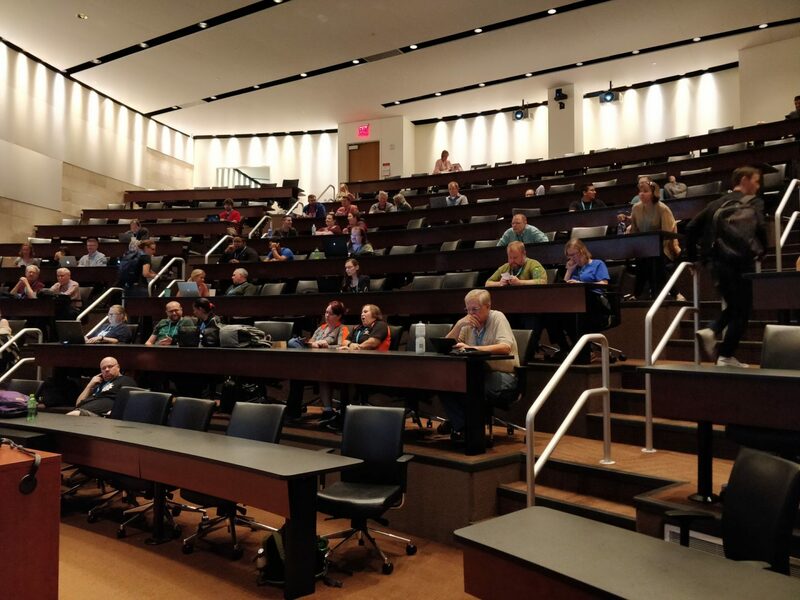 Our venue, Mammel Hall at University of Nebraska at Omaha, was awesome. Aside from a couple technical hiccups with speaker laptops not having the proper ports and scrambling to find the correct adapter, everything went smoothly. The atrium was huge with oh-so-cozy seating. Seriously. Look at those chairs! 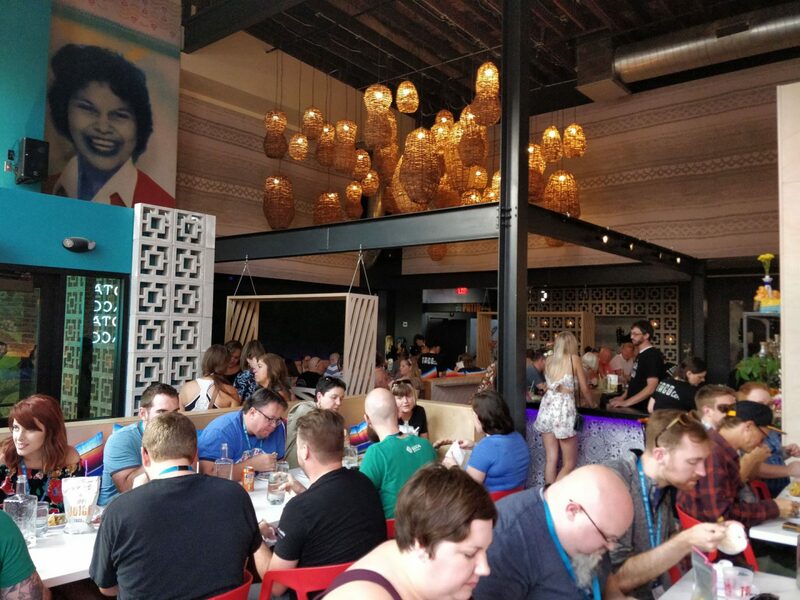 After the event, WCO18 treated speakers and sponsors to dinner at Taco Co! 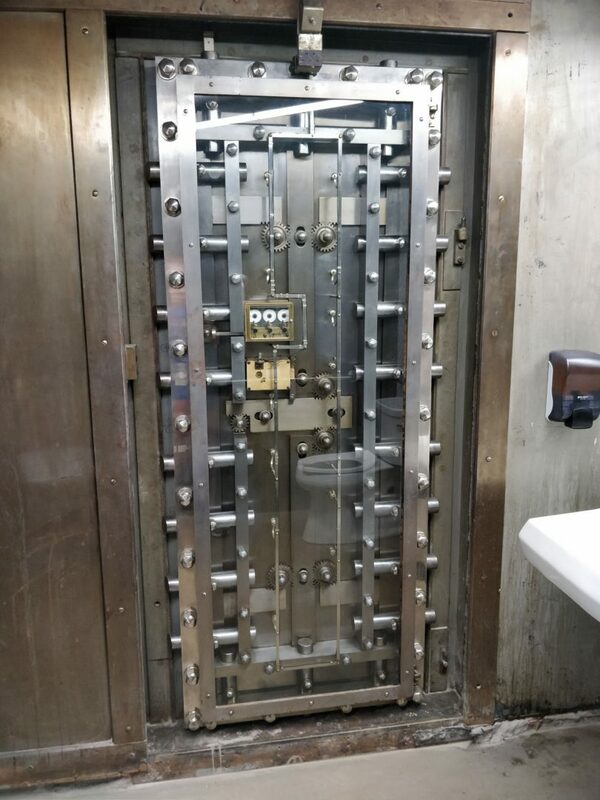 The Taco Co building is an old bank so when you go to use the restrooms, you’re standing where the vault used to be. 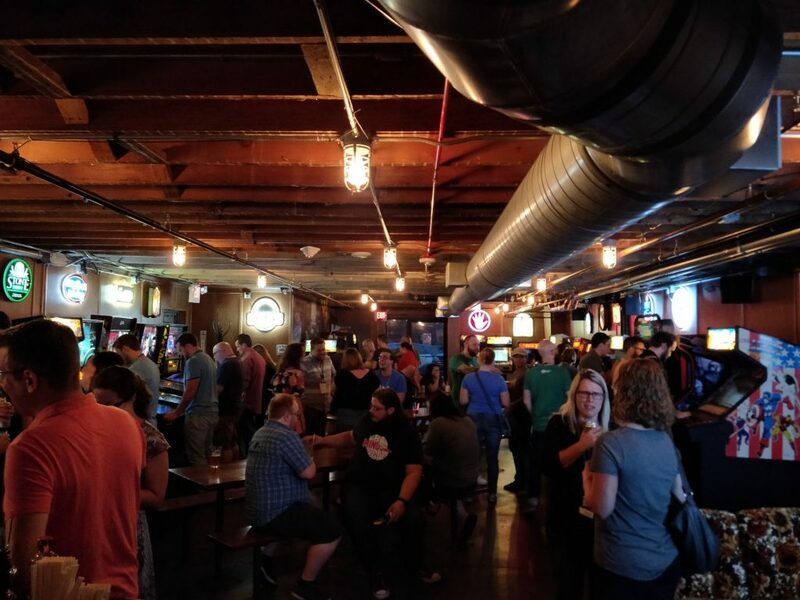 We hosted an after-party at Beercade in Benson which was a hit with the WordCamp crowd. 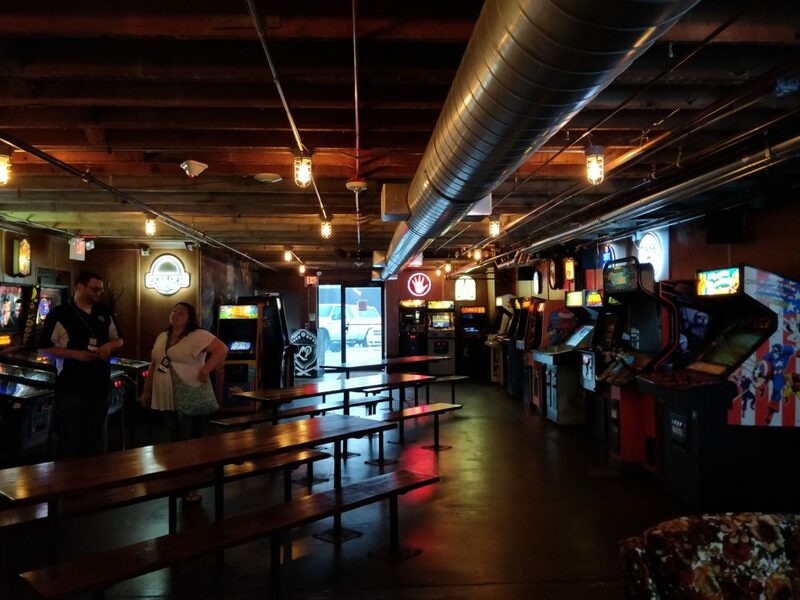 In their basement, the games are free (if you reserve the room, otherwise it’s a $3 cover charge to get into the basement)! The basement just before the WordCamp crowd showed up. There’s also a Wii hooked up to a projector to the right and a fully stocked bar to the left. 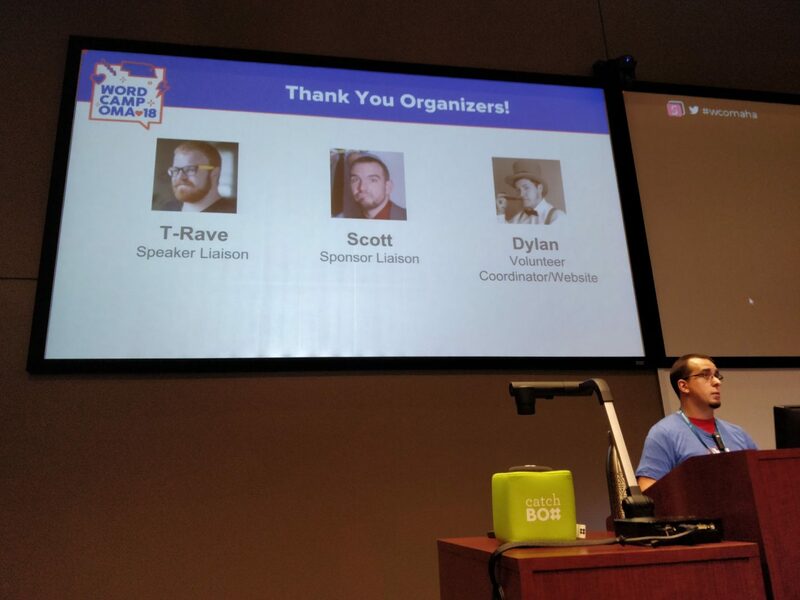 I always make it a point to grab as much swag as possible at WordCamps. 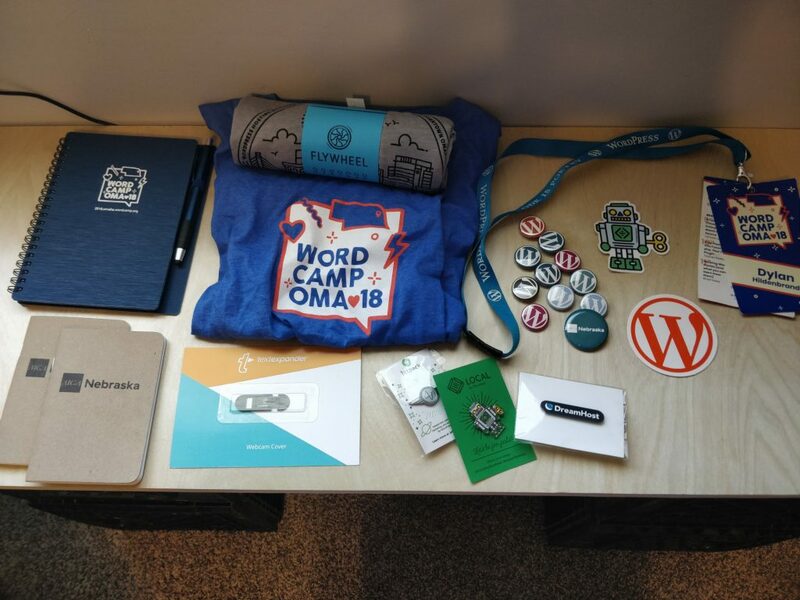 My goal is to have a complete wardrobe full of free WordCamp shirts. 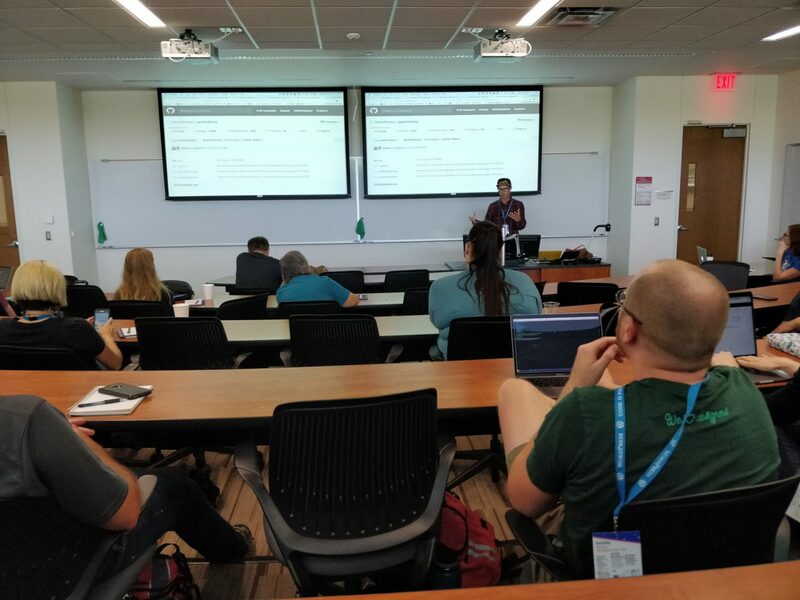 If you’re a WordPress user of any skill level; complete newbie, expert admin, or a rockstar developer, I would highly encourage you to find a WordCamp near you and attend it. Better yet, volunteer at it and you’ll probably get in for free! There’s a little something for everyone, it’s a great opportunity to meet interesting people, and it’s incredibly fun.